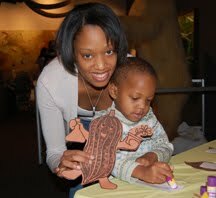 The Delaware Museum of Natural History commemorates Martin Luther King, Jr. Day with special activities highlighting African Americans' contributions to the field of natural history at African-American Champions of Nature on Monday, January 17, 2011, sponsored by Exelon. · Children can piece together insect puzzles and view live arthropods as a tribute to entomologist Charles Henry Turner (1867-1923). · Agricultural scientist George Washington Carver's (1864-1943) many uses for peanuts, sweet potatoes, and other plants will be revealed in an interactive matching game. · Visitors can learn about marine biologist Ernest Everett Just (1883-1941) while crafting a spiny sea urchin. Cost: $7 adults, $5 children (3-17), $6 seniors (60+), and free for children 2 and younger. Free for museum members. Sponsored PostThis post is sponsored by Main Line Camp Fair on Wednesday January 26th at Conestoga High School.